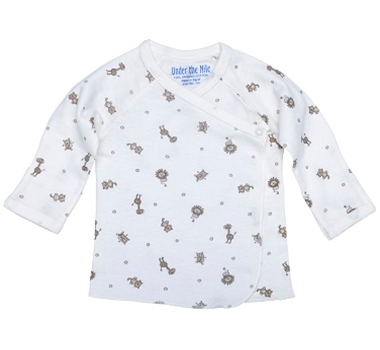 Long sleeve t-shirt with fold over cuffs is a perfect staple for Baby's wardrobe! Coordinates with everything in the Nature's Nursery collection. Made from the finest 100% Certified Organic Egyptian Cotton for a baby shirt that is gentle on baby's skin and the environment.